Once upon a time… more than a century ago, the simple sturdy gray block became a commodity in the construction industry. Over time, producers keep looking for ways to add value to this strong, durable, fire-resistant block making it even more useful. It was soon realized that block walls contributed thermal mass absorbing sunlight and heat from the day allowing them to gradually cool through the night, moderating comfort and energy costs. Block gained favor with many designers and engineers. Because it was a commodity, standard 8" block was made every day and stored as it cured for immediate availability. Another plus. BEGINNINGS OF CHANGE As times have changed, so has the block. Outsmart your competition by using the only building enclosure material that contributes so much added value making masonry the unparalleled wall system, even for interior partition walls. At first, concrete masonry units (CMU) were a good reliable product, although the mold required one block to be made at a time. As producers and users thought it could be more useful, these past 100 years have seen that gray block reinvent itself in so many ways. Today on one state-of-the-art block machine, 2500 CMU can be made in just one hour. AFTER WWII, block walls began to be reinforced and could be constructed as tall slender engineered walls. 10 YEARS AGO, CMU stood tall as it contributed to redundant structure | durability | water resistance | fire resistance | enhanced acoustic performance. Cost effective versatile CMU became a choice for innovative textural colorful finishes. Valued for immediate availability, CMU requires no lengthy fabrication and little or no maintenance. Contributing to LEED sustainability, cavity walls and CMU walls hold insulation optimize energy performance. TODAY, with so many evolutions making construction more efficient, more exciting, more beautiful, with higher performance, CMU is being ReBranded as anessential of the commercial wall system. Marked by its strong competitive advantages. Optimizing energy performance is a common goal using CMU design. Manufacturing became environmentally friendly by installing a washable fabric duct system improving indoor air quality, a thermal mass cooling system, on-site power generation greatly reducing CO2 emissions, fossil fuel reduction and closed loop cooling system reducing water consumption. Salt is a commodity. Truly, it is. 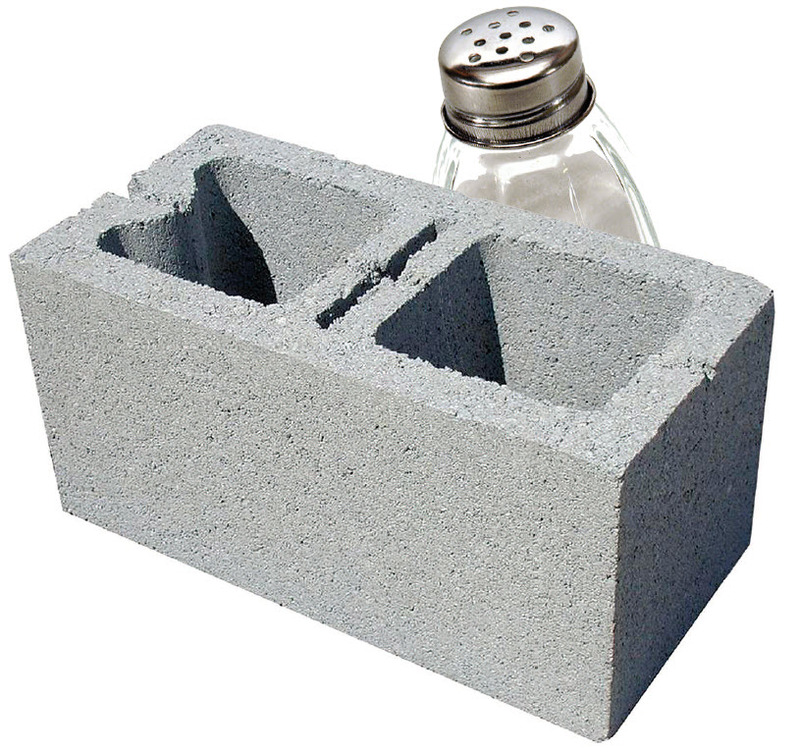 But salt has definitely become an essential. It is on every restaurant table in America. CMU is the proven essential of the high performance commercial wall system. It has so much to offer. Perhaps a sleeper over these past hundred years while under continuous development by one innovator after another creating new textural faces, pigments, sizes, shapes. Perhaps, it is about to bloom as the recognized and respected incredible essential. As you flip the pages of this COMMEMORATIVE ISSUE celebrating NCMA’s 100-year anniversary, enjoy gorgeous and striking images, and text written by a great number of experts in the field. Architectural CMU should be considered an essential for every commercial building envelope because of its coveted resilience greatly contributing to saving communities from natural disasters, as well as so much other added value. It’s time for the industry’s attitude about CMU to refocus. Recognize more than a century’s worth of evolution which includes advancements in performance, rebar and lateral reinforcing, aesthetics and efficiencies such as internal wall bracing and Building Information Modeling for Masonry’s innovative tools, adjusted compressive strength to reflect true load bearing capacity of CMU and so much more. LIGHTWEIGHT AGGREGATE was introduced 100 years ago to make block lighter to lift, more fire resistant and more energy efficient. Pigments were added to allow block to become building facades. 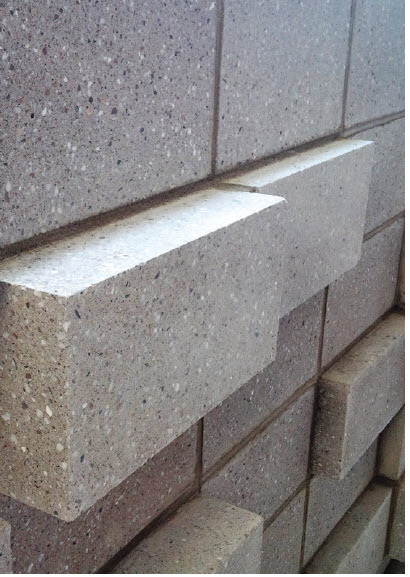 Block were manufactured half high to become pedestrian friendly and attractive for commercial and institutional buildings. SUSTAINABILITY With LEED v4, masonry’s strengths such as lifecycle costing are now recognized making it a front runner. Transparency of ingredients and manufacturing process impacts on the environment find block producers onboard with Environmental Product Declarations and Health Product Declarations. Masonry products protect the air quality health and comfort of building occupants. Prevalent locally sourced raw materials reduce transportation and related costs. CMU is recyclable, reusable and can be made from recycled products and supplemental cementitious materials such as ground glass, fly ash and used tires to prevent these products from accumulating in landfills. Design Masonry for ALL Its Worth using its diverse personality and function. Integral pigmentation gave the concrete masonry unit a new personality allowing its usefulness to go beyond industrial economical single wythe enclosures, fire-safe stairwells and elevator shafts. CMU can simultaneously play multiple roles. At one low price. Are You Designing Masonry for ALL Its Worth? STRUCTURE AND RESILIENCE The masonry building enclosure can also be engineered as a structural wall, reinforced to stand up to high winds, earthquakes and fire. Strength Design, Allowable Stress Design, Limit Design and Prestressed Design are options. Historically, masonry laid one over two provides redundant structure. Reinforcing protects against blasts, bullets, bombs, terrorists. STRUCTURAL ENGINEERING DESIGN SOFTWAREStructural engineers were gifted with structural masonry design software in 2008. NCMA and the International Masonry Institute (IMI) supported masonry engineer and consultant David Biggs, PE, SE, DIST M ASCE, HTMS, FSEI and GREAT MIND of SMART| dynamics of masonry to work with software developers to design just what this industry needed to competitively design loadbearing masonry for commercial and institutional buildings. SMDS Commisioned by NCMA the software was created for design of lentils, walls, sheer walls and hollow reinforced walls. Structural engineers were trained by experts to use the software. This led to the creation of structural masonry coalitions, initiated in MI, to train and assist users and provide overall masonry advice. Thus, began a paradigm shift to putting this software to use. Other developers came onboard. Coalitions have since been created in Delaware Valley, IL, IN, eastern KY, MO, NJ, MN, NY, NYC, northwest OH, St Louis and WI. Structural masonry engineering advocates introduced the new software to curious structural engineers. It caught on and saved countless hours in designing masonry structures as the most cost-effective total solution compared to other total systems. Engineering masonry became simple, quick. It became fun. R-value increases when structural engineers design using f’m = 2000 psi to spread vertical reinforcement, and when thermal break inserts are installed in vertical grout columns. Less steel, less grout and more injected foam insulation combine with cutting edge CMU to lower construction and operating costs, compress schedules and optimize lifecycle building performance. Cavity walls are thinner if block empty cores are injected with aminoplast foam insulation allowing narrower footings at lower cost. Such a Strategy! The trend today is to Value Engineering masonry IN to a project to right a budget and tighten schedule. 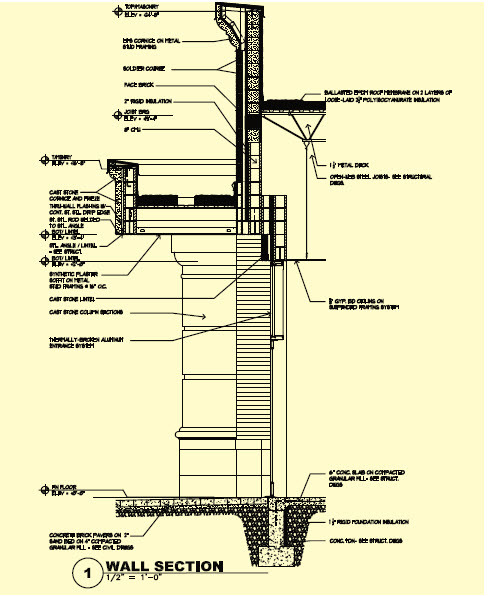 When you compare apples to apples and include footings, time to wait for fabrication of steel or concrete, versus the instant availability of concrete masonry for structure, cost of fire protection, sound deadening materials, when all those items are inherent in masonry at no additional schedule or cost. Masonry Wins! ENERGY Along with its thermal mass, the CMU wall systems can be insulated to optimize energy performance. As the single wythe masonry wall system becomes an integral part of the total building enclosure, it is able to meet ever-increasing energy codes. Walls and roof systems work together for a total insulation package, encouraged by ComCheck. Injected foam and rigid core inserts became available to fill single wythe block cores. The multi-wythe cavity wall became a perfect host for rigid insulation to optimize energy performance as energy codes became more stringent. With ASTM C90 MODIFICATIONS researched at the request of the National Concrete Masonry Association Education and Research Foundation and supported with a Foundation grant, results proved positive with a significant increase in energy performance. Reduced webs reduce thermal bridging increasing energy efficiency. New shapes include the High R single-web H-Block and the 2-web A-Block. Additional value comes with reduced weight of block to make them quicker and more productive to lay. ACOUSTIC The masonry wall system can be engineered to enhance acoustic performance. According to senior acoustic consultant and project manager at McKay Conant Hoover, William Chu notes, “CMU provides mass and stiffness required to achieve warmth of sound associated with low frequency reverberation time.” Side walls scalloped by a series of convex curves are designed to spray sound waves evenly across the space. When CMU cores are filled with sand or grout, the masonry wall serves to isolate sound or noise. AESTHETIC Michael Lehrer, FAIA, LA architect states, “Ultimately beauty counts. Creativity solves problems in succinct, straightforward and delightful ways.” Masonry is a most creative, expressive and versatile fabric in painting the picture to depict the vision the architect and owner have for a building. Combining shapes and sizes from half highs to oversize units to long and thin units invites innovation. Placement horizontally and vertically, as well as on horizontal and vertical angles add dimension. Colors and face textures may be combined in myriad ways. Blends and patterns add definition. Masonry’s historic heritage fits in with older communities, yet can add fresh appeal as communities reinvent themselves. Unique uses of CMU can give a space a vibrant or inviting feel, intimate or monumental. An occasional cleaning is all it takes to keep it fresh. When pigment is added, finishes can be juxtaposed against one another for a unique aesthetic. Read about the evolution of pigments in Richard Solomon’s Impact of Coloron page 36 of this issue. 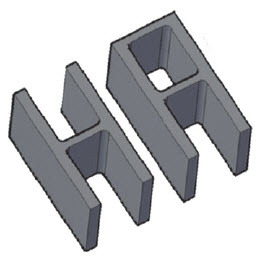 Split face units have a natural stone-like texture produced by molding two units face to face, then mechanically splitting them apart after curing, creating a fractured surface with course aggregate exposed. Split faces create depth and shadows. Used on a building’s exterior, it appears differently when in sun or in shadow. Read Versatile Aestheticsshowcasing 18 faces by Oldcastle’s Gary Hensley and Robert Carmody on page 42. Each makes a distinctive statement. Oversize 16 x 24 burnished CMU pigmented to resemble limestone with mortar pigmented to match presents a gracious invitation to residents and guests of luxurious Market Square Tower in Houston’s historic downtown. Yes, this is CMU. Perhaps not the CMU of 100 years ago. Not the CMU you have used just for structure. Or for optimizing energy performance. Today, CMU has all the attributes for which it has always been accredited. Its Added Value seems endless. Including its beauty. Mackie Bounds, president of Brazos Masonry, Waco TX, shares pride in establishing a new skyline of CMU hand laid 40 stories tall. See pages 16-22. EXPECT MORE INNOVATION Architecture students are invited and often sponsored by local block producers to enter the Unit Masonry Design Competition sponsored by the National Concrete Masonry Association. Students learn much about the properties of CMU, the dimensions, characteristics, manufacturing, aesthetics, value and added value. They will be a step ahead of those without that opportunity when it comes to understanding CMU’s role in design. They have introduced us to many innovations. Even new shapes & sizes. See pages 55-57. RESPECT THE BlOCK It is block’s inherent attributes that make CMU such an essential. CMU has become fun to design due to its incredible versatility | fun to model according to its modularity to eliminate cuts and to focus on clash detection | fun to engineer so quickly. 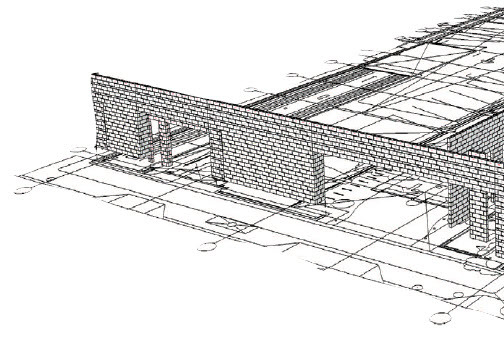 EFFICIENCIES OF DESIGN AND CONSTRUCTION One single wythe masonry wall can do so much. Multi wythe cavity wall even more. On the horizon is mortarless block which promises to cut construction time by 1/3. BUILDING INFORMATION MODELING for MASONRY (BIM-M) New modeling software for designers allows them to position grout and rebar, control joints, structural masonry lintels in the wall system, masonry patterning and modularity for the veneer eliminating or minimizing cuts. Modeling software at level 350 or 400 for the mason allows accurate and efficient estimating. Staging of material delivery time and position of every load coordinates transportation efficiently. Clash detection prevents mechanicals from going through bond beams so they do not collide with one another, ensuring time in the field is efficiently used for construction rather than solving issues. See it before you build it. More efficient manufacturing and more efficient construction keep the price of unparalleled CMU masonry wall systems highly competitive. PREFABRICATION panels, structural lintels and other components including signage, are constructed off-site to be delivered just-in-time for construction. 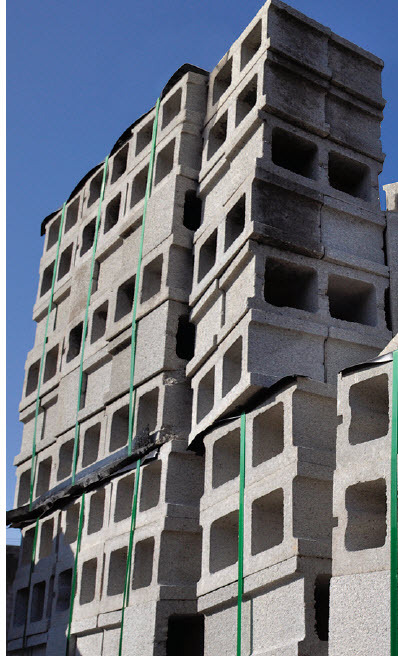 Saving material staging on a tight site and construction in a congested area allows more masonry to be value engineered IN to right a budget and conserve schedule. The MULE robot is programmed to reach, lift and position CMU so masons can ergonomically, simply put it in place, saving time, adding to wall productivity. 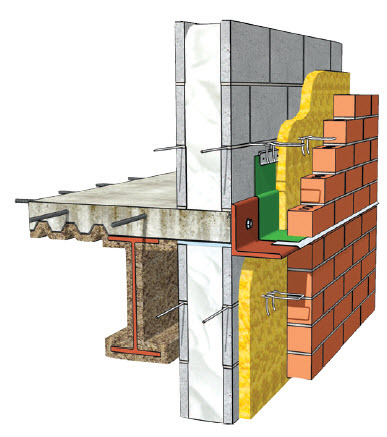 Tall masonry walls may be specified with an amount of reinforcement that is also sufficient for internal bracing. Thus, masonry can be designed to be self-supporting during construction eliminating the need for temporary external bracing with its associated schedule and costs, unlike other systems. When properly engineered, internally braced concrete masonry walls may be 35' or higher, even for extreme wall heights. Internally braced taller walls allow more productive construction more economically. 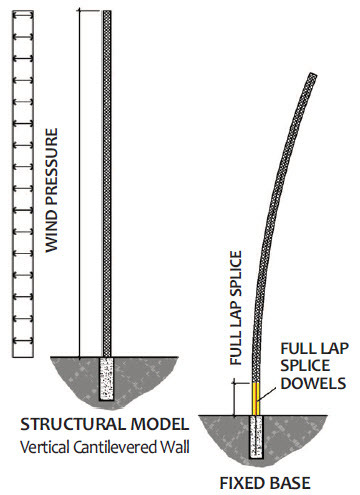 This most efficient wall will be stable under wind load when fixity is developed at its base. 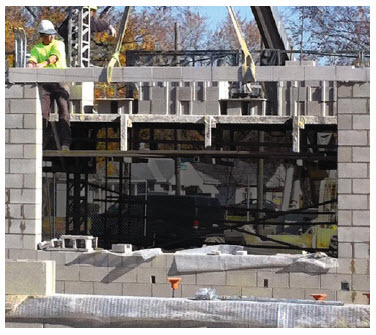 OSHA’s Standard Practice for Bracing Masonry Walls Under Construction details guidelines. 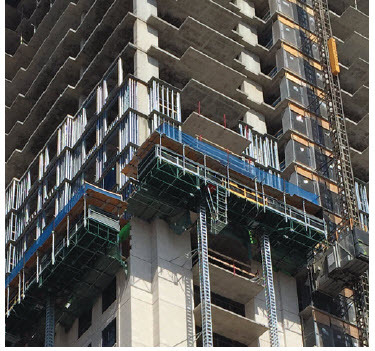 HYDRAULIC SCAFFOLDING allows masons to hand lay block 40 stories tall such as the Market Square Tower in historic downtown Houston. Masonry thrives in this new construction environment. 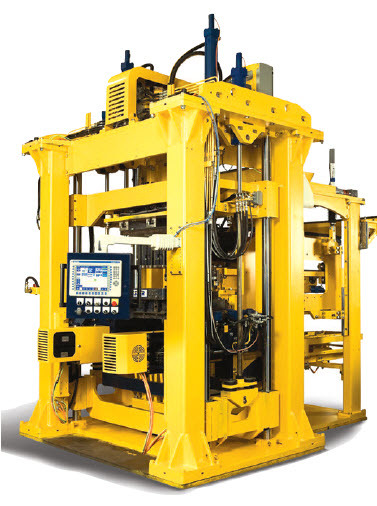 DEMAND IS GREATER Block-making equipment increases productivity. Today equipment can produce six block at a time every few seconds. That equates to 2500/hour. Larger producers may have multiple machines at one plant and multiple plants within a 100-mile radius or in several states to service national or region customers with exactly the same product using the same mix design. State-of-the-art plants are equipped to be scalable, accommodating shapes, sizes, finishes and colors to meet any design challenge. UNFINISHED CMU EATS CO2 right out of the air over time. Additionally, carbon sequestering is now common among block producers to permanently reduce greenhouse gases from the atmosphere. CO2 captured from other industries can be injected into CMU during manufacture. CMU production becomes more environmentally-friendly with process improvements and changing ingredients of mix designs where CO2-intensive cement is supplemented with other cementitious materials. CARBON CALCULATORS created by the Canadian Concrete Masonry Producers Association and adapted for American producers help designers and owners quantify the carbon footprint of a CMU wall with impressive results. HPD and EPD by manufacturers reveal health and environmental concerns, creating transparency and building awareness of masonry’s inherent benefits. As an essential, the raw grey block, along with pigmented textural architectural block, gain favor with designers because of Competitive Advantages over other systems, so much Inherent Added Value and Cost Effectiveness. 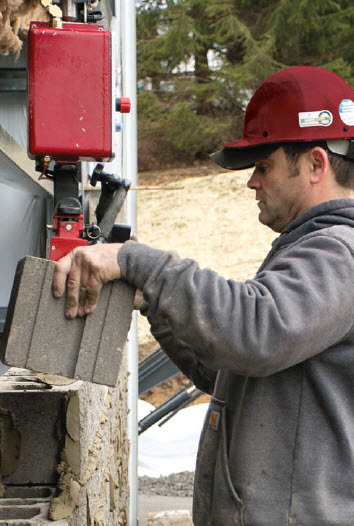 Have you ever thought about Concrete Masonry with so many Attributes Advantages | Advancements Added Value Solutions to Efficiency? It’s time to consider Masonry as an Unparalleled Wall System Essential! SMART| dynamics of masonry is ReBranding Masonry and ReBranding Masonry Advertising. Share knowledge of Experts in the field. A huge leap beyond yesterday. WIN! WIN! WIN! Designers love to design with masonry because they love creating signature projects using innovative and versatile aesthetics of masonry. Owners appreciate its performance, masons love its construction efficiencies. Well, have you ever? Seen such a solution? Such an essential. Who knew all this was going on in the industry? Who among you knew that CMU has transformed from the commodity you think of as CMU to this extraordinary essential of the most cost effective building enclosure system that provides structure, thermal mass, energy optimization, noise isolation, fire protection, resilience and wonderful aesthetics? Are you as excited as I am about this unparalleled wall system, now recognized as essential? METAMORPHOSIS In this last decade, block producers and block equipment producers would have to agree with me that a metamorphosis has occurred. This commodity has turned into an essential of the wall system building enclosure, now Rebranded as such. BE PROACTIVE and LEAD Sponsor quarterly subscriptions for all those who need to know about masonry advancements. Save every issue, creating your personal resource library. Be sure to share SMART| dynamics of masonry with your customers so they will request masonry’s efficiencies and cost effectiveness. Sponsor a subscription for each. And don’t forget to educate the A/E/C educators, facility planners and owners in your locale as well. CELEBRATE the NEW CMU with all it has to offer. Myriad Choices. Myriad Payback. dynamics of masonry is very SMART strategy. NOTE: Peer reviewers were all concerned with the spelling of “grey”. Please consider this new spelling for this new incredible CMU, the essential. The commodity can remain gray. Image credits: Page 10, Salt Shaker by WikiCommons Dubravko Sorić; Block from Oldcastle. Page 11: Photo by Ed Morykwas, River of Time Photography; Detail courtesy of ARCON Associates. 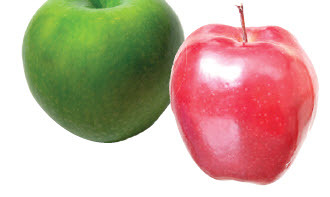 Page 12; Green apple courtesy WikiCommons GNU Free Documentation License; Red apple courtesy WikiCommons Karl Thomas Moore under Creative Commons Attribution-Share Alike 4.0 International license; Isometric Image courtesy of cfiFOAM; Masonry Unit Database images courtesy BIM-M. Page 13: Photo by Peter Legris, Legris+Bourgeois, Toronto; 6t image courtesy Biggs Consulting Engineering. Page 14: Model courtesy of KMI Construction; Block machine image courtesy Besser; MULE courtesy Construction Robotics. Page 15: Scaffolding courtesy Brazos Masonry; Lintel by Jim Gendron, Constructive LLC; Illustration by Dailey Engineering Inc.
Betty Stansbury Young, publisher of SMART| dynamics of masonry, where industry leaders gather and speak, is a marketing and ReBranding expert, specializing in the advantages of using the premier wall system with myriad competitive advantages. 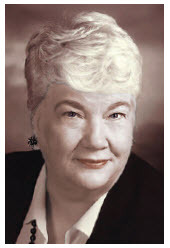 Previously she was Publisher of theStoryPole for the Masonry Institute of Michigan and theMasonryEdge for the Masonry Advisory Council of Greater Chicago. She is honored to have been continuously tutored by Executive Directors Dan Zechmeister and Chuck Ostrander and to have advertising support for the past 18 years from Bob Belden and The Belden Brick Company, St Marys Cement and Tradesmen Software. And thankful for the GREAT MINDS of the Editorial Advisory Boards guiding editorial content and so many producers and contractors as well as architects and engineers who have continuously contributed to her masonry knowledge through advertising and editorial in these masonry magazines since 2001. And, especially, to NCMA President Bob Thomas who was interested in the content of the regional publication educating architects and others in the built environment about the advancements and efficiencies of masonry. He wanted all NCMA block producers to be able to share this information to educate their customers. Resulting in the evolution of the regional magazine into this international publication circulated throughout the US and Canada, uniting the industry. Publishing expertise ranges from construction, business to business, upscale retail, retail automotive, sailing and figure skating events with advertising and marketing extending from public utilities, wine and food, entertaining to new product launches. She is proud to work with her two daughters Elizabeth and Jeanne as managing editor and management consultant respectively. Young is a graduate of The Ohio State University.